Actual lease price determined by your authorized Porsche dealer; your payments may vary. Closed-end lease offered to qualified lessees with approved credit by Porsche Financial Services through participating U.S. dealers. Must take delivery by 4/30/2019. 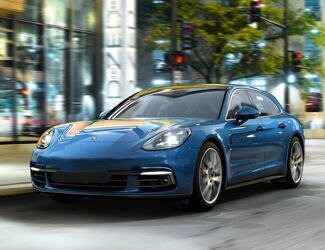 Estimated payments based upon MSRP of $67,180 (includes delivery, processing, and handling fee) for a Model Year 2018 Macan Sport Edition with the following options: Metallic Paint, Premium Package Plus (Power 14-way Seats with Memory Package), ParkAssist (Front and Rear) with Surround View, Lane Change Assist. Model pictured may have optional features and equipment. Price excludes any title, taxes, registration, license fees, insurance, maintenance and dealer fees. Lease payments of $799.44 for 36 months total $28,779.84 based on the adjusted capitalized cost of $59,685 (requires dealer contribution which could affect price). Total due from customer at signing $5,929.44 (first month’s payment, acquisition fee of $995 and capitalized cost reduction of $4,135). No security deposit required. At lease end, lessee pays excess wear, $.30/mile over 30,000 miles and $350 disposition fee. Purchase option at lease end $40,260 plus taxes. Specific vehicles and options are subject to availability and your price may vary. For additional information see your participating authorized Porsche dealer or visit Porsche.com/usa. Actual lease price determined by your authorized Porsche dealer; your payments may vary. Closed-end lease offered to qualified lessees with approved credit by Porsche Financial Services (PFS) through participating U.S. dealers. Must take delivery by 4/30/2019. 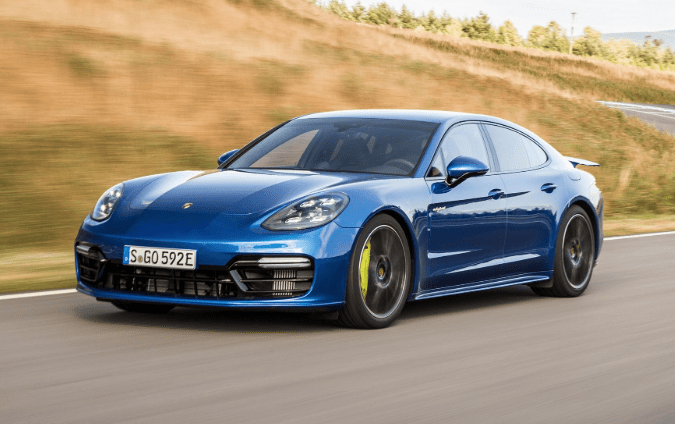 Estimated payments based upon MSRP of $114,280 (includes delivery, processing, and handling fee) for a Model Year 2018 Panamera 4 Sport Turismo with the following options: Metallic Paint, Window Trim in High Gloss Black, 20" Panamera Design Wheels, ParkAssist (Front and Rear) incl. Surround View, Lane Keep Assist, Adaptive Cruise Control, Lane Change Assist, 4-zone Climate Control, Ambient Lighting Plus, Power Seats (14-way) with Memory Package, Seat Heating (Front and Rear), Power Sunblind for Rear Side Windows, Interior Trim in Athracite Birch, BOSE® Surround Sound System. Model pictured may have optional features and equipment. Price excludes any title, taxes, registration, license fees, insurance, maintenance and dealer fees. Lease payments of $1,299.14 for 36 months total $46,769.04 based on the adjusted capitalized cost of $95,780, which includes a single, $2,500 non-cash credit for eligible WtP or EOTLLP customers (also requires additional dealer contribution which could affect price). Total due from customer at signing $11,269.14 (first month’s payment, acquisition fee of $995 and capitalized cost reduction of $8,975). No security deposit required. At lease end, lessee pays excess wear, $.30/mile over 30,000 miles and $350 disposition fee. Purchase option at lease end $61,711 plus taxes. Specific vehicles and options are subject to availability and your price may vary. 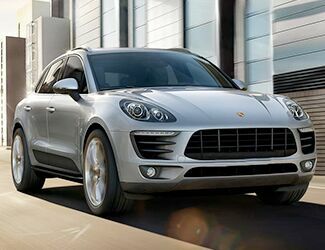 For additional information see your participating authorized Porsche dealer or visit Porsche.com/usa. WtP eligibility requires that customers are currently leasing a competitive vehicle, and lease or finance through PFS an eligible vehicle. The competitive lease agreement is restricted to those within 180 days of the maturity date as of the new PFS contract date. The “Welcome to Porsche” program benefits are not transferable. Program eligibility is restricted to the lessee/co-lessee on the existing competitive lease agreement. Please see your participating Porsche dealer for additional benefits and eligibility requirements of WtP. EOTLLP eligibility requires that customers are currently PFS lease customers and execute a new lease agreement with PFS on an eligible vehicle. Existing PFS lease agreements with terms of less than 24 months are not eligible for EOTLLP. Customer must return existing lease vehicle on or before the contract date of the new vehicle agreement. Customer is responsible for the satisfaction of all other terms and conditions of the existing PFS lease agreement (any fees or charges owed under the contract). All other obligations to PFS must be satisfied for the payment waiver to be processed. There is a limit of one PFS EOTLLP offer per specified customer account and the elements are non-transferrable. Please see your participating Porsche dealer for additional benefits and eligibility requirements of EOTLLP. Loeber Motors prides itself in being one of Chicagoland's most prolific luxury car dealerships. With a robust selection of Porsche vehicles on hand. Chicago, IL car shoppers have plenty to choose from when they step on the Loeber Motors lot. Luxury cars like the Porsche 911 Porsche Cayenne, many of the industry's most incredible vehicles call Loeber Motors home. While we are based in Lincolnwood, we are proud to serve the entire Chicagoland community, including Evanston, Northbrook, Park Ridge and many other nearby locations. In the search for a new, certified or pre-owned Porsche, Loeber Motors remains a go-to location for luxury car shoppers.